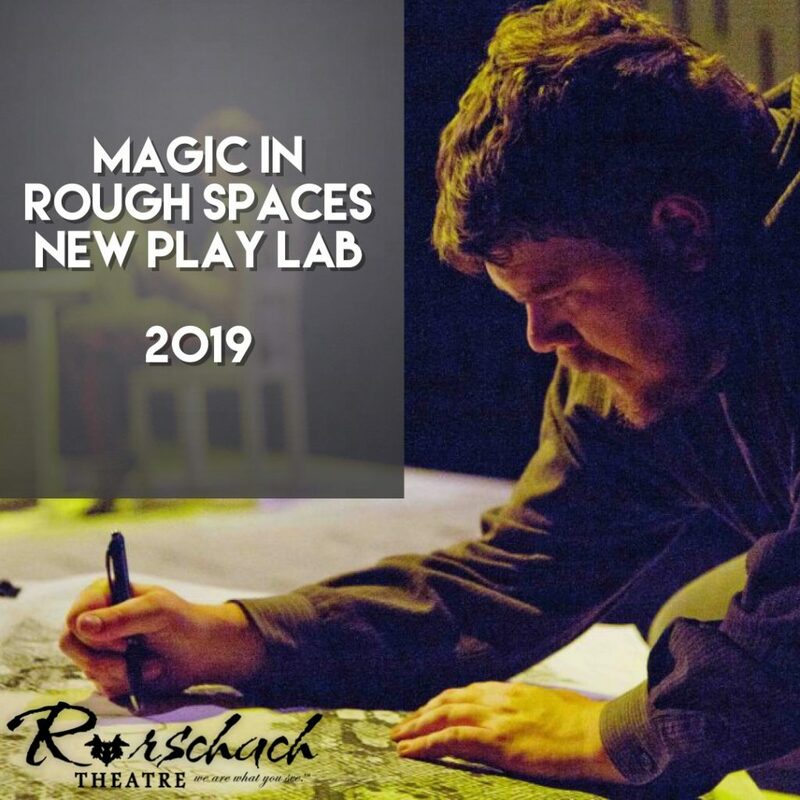 Rorschach will collaborate with three promising emerging playwrights to workshop and develop a trio of new plays. The playwrights, one of whom will be DC-based, will spend three days in DC working with a director, dramaturg, actors and designers to set and achieve goals for their new work. Each play will receive a public reading that will be performed along with some enhanced design components to give audiences a taste of what a full production might feel like. Audiences will also have the opportunity to talk with artists in a post-show conversation following each play. Scripts will be selected by an invited call beginning in October 2018.
or by invitation for those playwrights not based in the DC-Area. We are especially interested in plays that are epic in scope but intimate in their exploration of human psychology. Plays that include elements of mythology and the supernatural while remaining contemporary in their themes and settings. Plays that might be described as magic realism. Plays that might be described by some literary managers as “impossible.” Please no domestic comedies or kitchen sink dramas…even if it has a ghost in it. Generally the play must have respect and optimism for humanity. Our sense of humor is pretty dark, and we’re open to exploring all sides of the human condition, we’re not necessarily looking for happy endings, but we tend to avoid scripts that go full nihilist. It must be unproduced and unpublished. Exceptions to the “unproduced” requirement: A university production where 50% or more of the cast was students, a one-night event, a production for which admission was not charged, a circumstance in which 30% or more of the script has been substantially changed following the production. * We consider DC-Area playwrights writers that live in: Montgomery County and Prince George’s County in Maryland; the District of Columbia; City of Alexandria, Arlington County, City of Falls Church, Fairfax County and Loudoun County in Virginia. ** If you are not DC-Area based and feel you have a script that fits our criteria, you may email info@rorschachtheatre.com with “MIRS Invitation Request” in the subject line along with a 10-page script sample and one paragraph summary of your play. If we are able to accommodate additional submissions we’ll contact you with an invitation link.